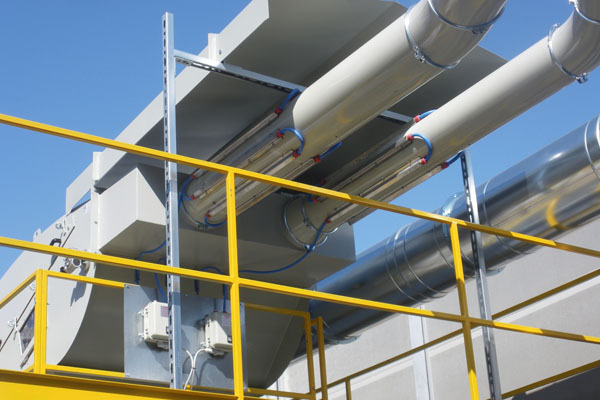 Many industrial sectors produce waste materials that are transferred to collection systems through suction piping. An example is the graphic industry where the paper trimmings are transferred to external containers through pneumatic conveying systems. But even in the extrusion industry, where during the production of plastic film, the reel edges are trimmed and sucked towards the collection system. In the path composed of pipes in which the trimmings are sucked up, they are charged with electrostatic current. Once reached the cyclone or the separator, the scraps are glued to their walls, being blocked. The ACE technology has brilliantly solved this problem, in fact through the mounting of a reinforced portion of pipes provided with antistatic BR/PR bars with high efficiency at the input of the cyclone or separator, scraps and trimmings that will flow in speed are being completely discharged from the electrostatic current and made free to slide up to the final collection point. The placement of special antistatic bars on the circumference of a pipe trunk specially crafted, guarantees the elimination of the 100% of the electrostatic charges that are formed on scraps of paper and films while being transferred to the cyclone/separator. The plant will not undergo more production downtime periods due to the blocking of the scrap recovery system. No more charges in the cyclone or separator, no more scraps glued to its walls, no more blocking of the system! 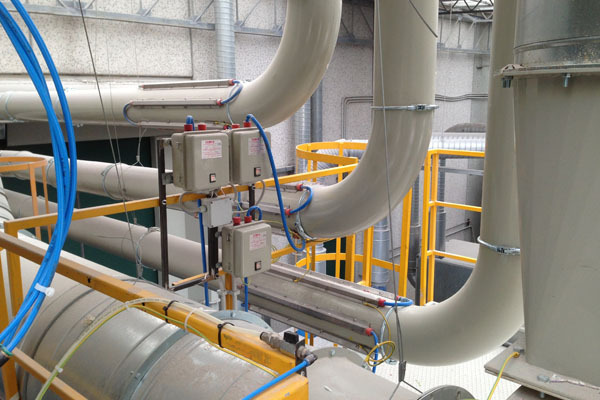 Clear Tube, two inlet pipes are equipped with the system, just immediately before the separator. Clear Tube installed on the last part of piping, prior the pipes go to the outside of the plant.